As you start to think more and more about your yoga practice begin to add your spine into the equation. You want to move your spine 6 ways each time you get on your mat. Simple, right?! You can always focus more on forward folds, or twists, or whatever, but to stay balanced you need to move your spine in all directions. We’ll talk more about focusing on specific areas, feelings, etc in later weeks. Right now it’s more about getting the foundation built so you know where to go every time your step on your mat. 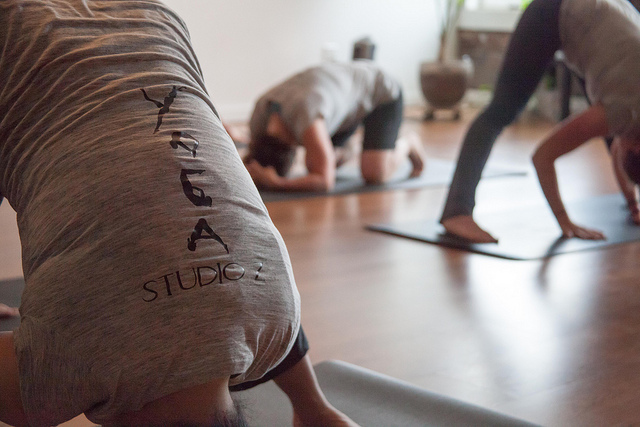 PS Studio Z Yoga is my old yoga studio which is now my business partners Locally Grown Yoga studio. If you are ever in Grinnell, Iowa, stop by there and say hi! PSS The shirt design is by a super talented friend of mine. I hope she will start selling on Etsy someday. Her artwork is amazing!